from the founders: Hold Up! Sit Down, Be Grateful. — myblackbox co.
from the founders: Hold Up! Sit Down, Be Grateful. With everything going on in the world, it is easy to get caught up in all the negative things that may surround us either locally or afar. However, we must take a moment to hold up, sit down, and be grateful for all the positive things that have occurred throughout this year and opportunities manifesting in the future. When is the last time you've taken a moment to breathe, sit in a quiet place and reflect on all the things you have to be grateful for? If you're anything like us, it may have been a little while. It's so easy to get caught up in the whirlwind of life and the continual daily grind, that we find ourselves worrying and thinking about all the things we don't have, rather than the things we do have. Look around you; do you have any family, friends or even co-workers/acquaintances or your mailman that you are grateful for? When is the last time you've told that person you're grateful for them? We all know it is better to give than to receive. So share a little thankfulness to others and see what a positive impact it makes on your mood and outlook in your current situation. Some fun ways to do this are face-to-face, thank you cards/notes, dedicating and sharing a song with someone, giving a gift, or even a hug! Another idea is to sit down and write out all the people, things and experiences you've had over the course of the year that you are grateful for. Reflect on each item as you write it down. It's even more beneficial to write down how the people. things and experiences have impacted your life. This will give you a deeper connection and appreciation for each item you are writing. You could carry a small notebook or journal with you and add to it throughout the day or you could reflect on a scheduled basis (weekly, bi-weekly, or monthly) and add to it then. The more you do both of these exercises, the more it will allow you to focus your time and energy into the positive things in your life as you grind day-to-day and not be worried about what you don't have. It will help you be even more thankful when you do achieve what you are working towards and giving back to others along the way. The next time you find yourself down, worried about the headaches of life, focusing on the things you don't have, or at a plateau, find a place to hold up, sit down and be grateful by reflecting on the people, things and experiences in your mind or by reviewing your notebook. Do this regularly! Remaining positive, humble and grateful for all things, especially the little things will attract more of those types of people, things and experiences into your life! 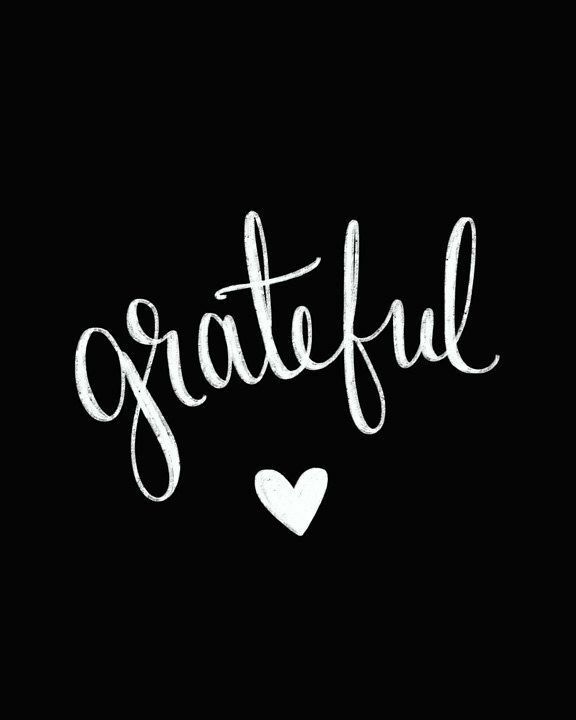 What or who are you grateful for? Share in the comments below!